Which is the best CD of Bach's Cello Suites? Thread: Which is the best CD of Bach's Cello Suites? 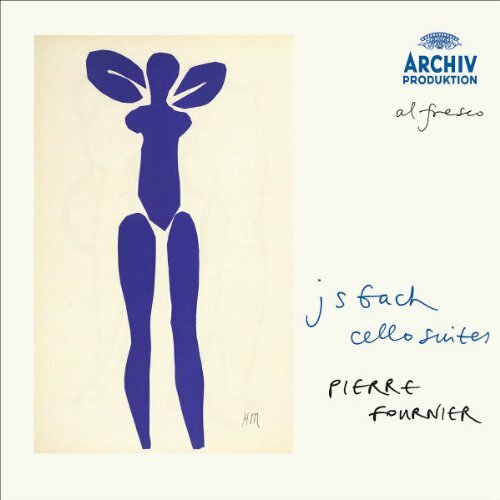 I am looking to add an affordable recording of J S Bach's Cello Suites to my library on CD. Taking my time reading through the reviews on Amazon, the principal choice appears to be between Tortelier, Kirshbaum, Rostropovich, Yo-Yo Ma, Starker, Casals and Schiff. (There are probably many others). I say principal choice as all these are readily available, reasonably priced and all score very high ratings among the reviewers; but not all have samples for me to hear. Given the vast number of other works on my 'wish list' I'm not in a position to go out and buy them all! I really can't afford to be pulling my hair out as these days, my trips to the barber take less time every visit! The quality of the performance and recording is my priority, not necessarily the historical authenticity. I appreciate all talented musicians like to do things their own way when it comes to solo work. If anybody is familiar with these recordings and cares to make a suggestion I'll be very happy to hear it. Many thanks indeed. Last edited by SAKO; Aug-04-2012 at 21:22. Ma is bland, Tortelier is gruff and serious, Casals is in poor sound, Starker (in multiple recordings) is technically correct, Schiff plays the dances as dances. You didn't mention Wispelwey(2), on a period instrument and serious. My personal choices are Tortelier and Schiff, being under the impression that both of them 'tell it like it is', with their hearts supporting their interpretations. Last edited by Ukko; Aug-04-2012 at 21:36. I spent a fortune on deodorant before I realized that people don't like me anyway. I only have the Rostropovich set so far, so can't compare to others. However, I highly recommend it! It's quite nice! I have a set by Pierre Fournier that seems very well rated on amazon.co.uk and amazon.com. 8 unanimous 5 star reviews and 38/46 5 star reviews respectively. One of the cello suites was part of the listening club started last week - here. More discussion on the versions available would be welcome there. I'm rather fond of my set by Maria Kleigel, available (sort of) on Naxos. She seems to be a very under-rated cellist, who plays these pieces at a flowing but not overly brisk tempo, with much sensitivity and introspection, but steering shy of big dramatic or "romantic" flourishes (pretty much how I want to hear them). Her musicality is formidable, and the recording quality and sound of her instrument (a Stradivarius from which she gets a lovely sweet lyrically expressive tone) are both superb. Unfortunately it seems to be only available as an MP3 download these days on Amazon, and isn't even that cheap. You might be able to find it somewhere else if you're interested though. I picked my cds up in a record shop back in the days when I still bothered going to such places, and was more than satisfied with the result, which was a wonderfully intimate and soulful performance of one of Bach's finest instrumental pieces, for which I paid almost nothing. I can't recommend it personally without having heard it in its entirety, but I was thinking of trying out the (pretty affordable) recording by Maurice Gendron, which seems highly regarded and features the same cello as Kleigel was using. He takes a very brisk and lively pace which may well be more in keeping with the typical spirit of the Baroque (I wouldn't claim to know what Bach actually intended for these pieces), the sound appears surprisingly good for the time as well. I don't think I can tolerate Yo-Yo Ma playing Bach, I find him utterly soporific from what I've heard (and don't wish to expend effort on investigating further on this basis, I would rather dispose of my life listening to something I might actually enjoy). His popularity mystifies me a bit to be honest. There are a handful of beautifully played and recorded sets of Bach's cello suites... as you have already discovered. There is no way for someone to tell you which one is "best". Rostropovitch, Casals, Tortelier, Fournier, Yo-Yo Ma, Isserlis, Starker... and several others all bring something splendid and original to the work. If you wish quality sound you will probably want to avoid Casals. beyond that all I can suggest is that you make some comparisons on YouTube and then pick one of the major interpreters. You will not go wrong with any of them. For less than $7 US through Amazon Marketplace Dealers you seriously can't go wrong. Last edited by StlukesguildOhio; Aug-05-2012 at 02:55. It is really hard to tell what quality you were talking about. All recordings mentioned above are great quality in terms of their skill and the technical recording per see; however, the interpretation varies greatly. Jian Wang for DG (more expensive). His romantic approach was well received when it was out couple of years ago. Zuill Bailey for Telearc (2 for 1 deal). He is more personal and has some sharp edges which I found refreshing. You need to try yourself. Morten Zeuthen is lively and has good sound & I find it wholly satisfying, in spite of its often low price. It also includes a 7th suite, based on the flute partita. I also own Casals, skipped Fournier & Shafran and have heard about 5 others. Last edited by joen_cph; Aug-05-2012 at 13:26. Ah, Shafran. I very much like the sounds he makes in the Kabalevsky concerto; a cellist counterpart to Oistrakh, it seems. Got to see if I can get a listen to the Bach. With the preponderance of 5 star reviews on Amazon, I don't see how anyone could take these reviews seriously? Check the library and YouTube, so you can actually judge for yourself. "My Mother was always far too busy putting the boiled chicken through the deflavouriser to have ever considered committing suicide". Woody Allen, Stardust Memories (1980). Shafran is very slow and "dignified" in the suites (I am talking of the melodiya issue), but lacked tension and excitement IMO. I agree about those amazon reviews. It is necessary to read the review at least; the stars don't mean much. Some of the 1 or 2 star reviews turn on basically irrelevant points, so they need to be read too. And after all that "You gotta hear it." I'm certainly no expert but I'm surprised that with two threads on this subject recently that no one has mentioned Queyras's HIP. It's my favourite of the one's that I have. It's certainly not as fierce or unorthodox as Gaillard's first effort (though that's certainly an interesting listen). Last edited by hocket; Aug-05-2012 at 15:29. I listened to mp3 samples on amazon.com, from what is probably the Melodiya recording. You are right; too slow, relatively spiritless. Best cellist for J S Bach's Suites for Solo Cello ? All times are GMT +1. The current date and time is Apr-25-2019 16:46.